Northlake Veterinary Surgery was founded in 1980 to support general practice veterinarians and provide specialized surgical services to pet owners. Over the past 30 years, we have helped thousands of patients, from canine athletes and working dogs to beloved family pets. We integrate the art and science of veterinary surgery. 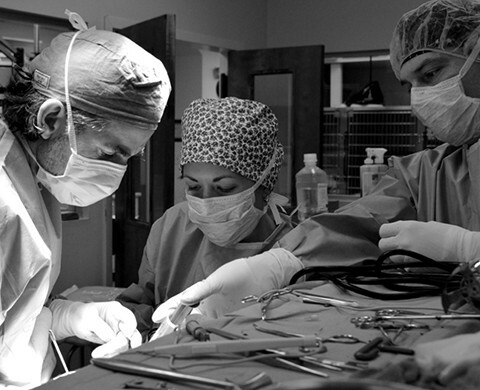 All of our surgeons are boarded Diplomates of the American College of Veterinary Surgeons, and our surgical skills are complimented by an amazing technical team, a dedication to quality patient care, and excellent communication with our clients and referring veterinarians. Simply stated, Northlake is different than other veterinary surgical referral practices. There are many reasons Atlanta Magazine recognized Northlake Veterinary Surgery in the Best of Atlanta pets editions. We look forward to working with you and your pet.